We ring for Sundays, weddings and other special services, and quarter and full peals for special events. 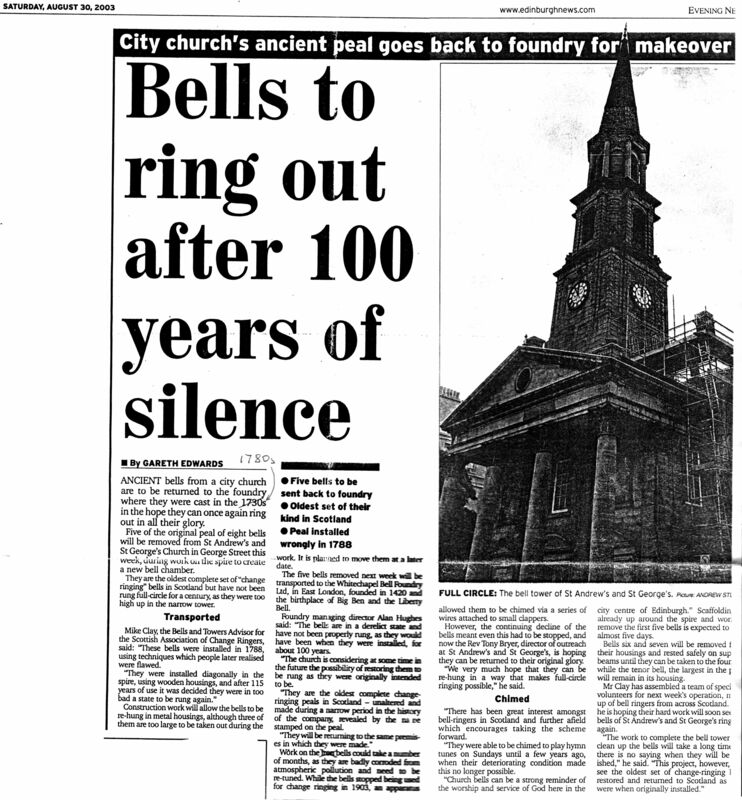 Ringing is after the Sunday service, approximately 12 noon to 1pm (a bit later on the last Sunday in the month). Practice nights are Monday 7.30-9pm (although we usually have a few weeks off during the Christian Aid Book Fair in May and the Edinburgh Festival in August). If you arrive after the start of the practice, we can easily hear knocks on the door during breaks in the ringing, and someone will come down to let you in as soon as possible. Visiting bands and new members are welcome. 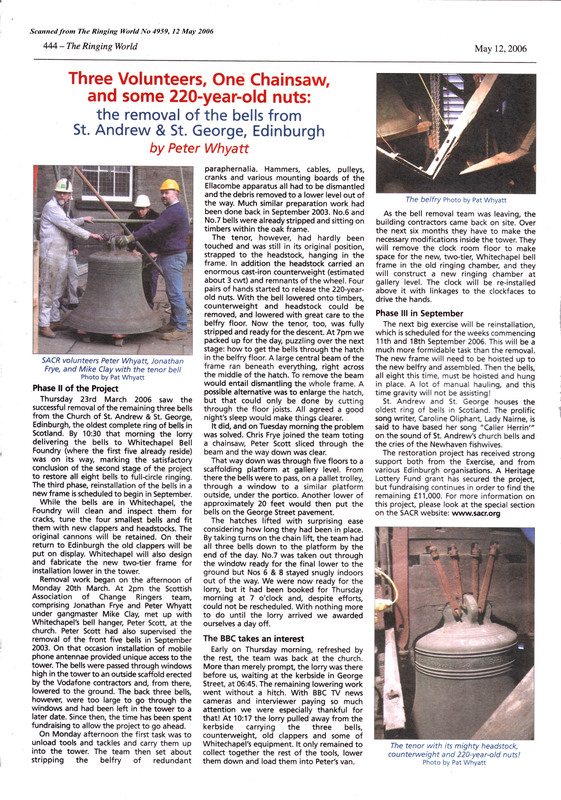 We are part of the Scottish Association of Change Ringers and the Central Council of Church Bell Ringers. 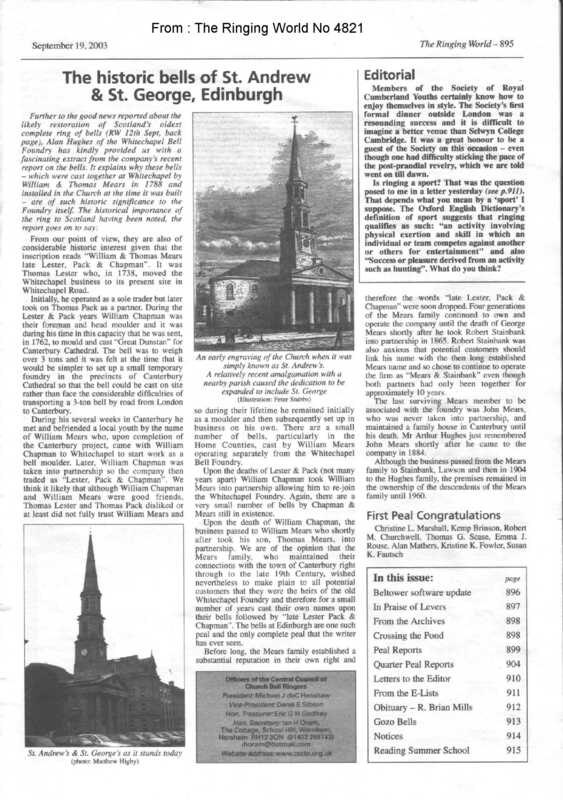 Please contact Bells Secretary Anne Leigh Brown or Tower Captain Simon Aves via the church office. Please check the Church calendar for current information on practice times. A list of Peals can be found here.